Ministry of Communications and Informatics (Kemenkominfo) launched a chatbot service called Chatbot Anti Hoaks (Anti-Hoaxes Chatbot) to tackle hoaxes, fake news, misleading information, and hate speeches. The Chatbot Anti Hoaks is a software designed to answer public questions about dubious information. The service is to anticipate the increasing hoaxes, fake news, misleading information, and hate speeches towards the simultaneous elections on 17 April 2019 and to assist the public in verifying the information received. The Ministry of Communications and Informatics cooperates with Prosa, a natural language processing developer to develop this chatbot. This chatbot is connected to the Telegram instant messaging application via the @chatbotantihoaks account and soon, to the Whatsapp and LINE applications. The clarification of hoaxes will be given via the chatbot from the Ministry’s AIS engine database. “We hope that the public has a channel for information verification. So far, only Instagram has cooperated to implement this chatbot. On Instagram, there is already an ID for the public to be able to verify the information. The procedure is to copy and paste the message and then send it to the chatbot. 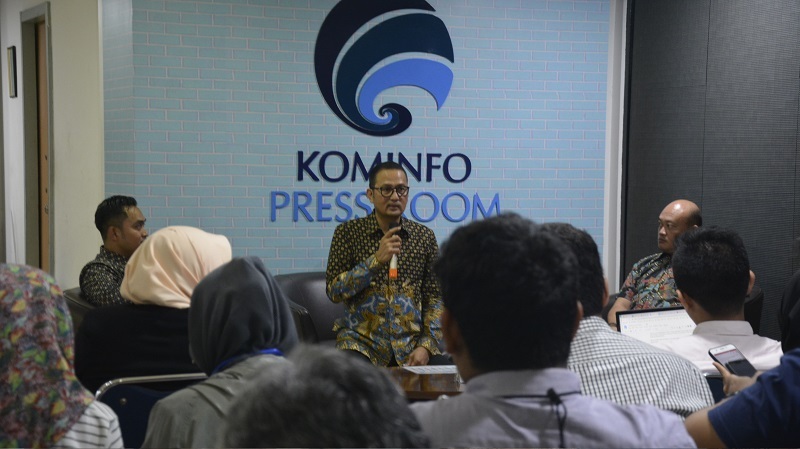 Then, it will identify the information and provide feedback based on the database,” Director General of Information Applications to the Ministry, Semuel A Pangarepan, said in a press conference at the ministry’s building in Central Jakarta, on Friday (12/4). Semuel also stated that there are three phases of internet users in getting information, currently in Indonesia. The first phase is the one getting information through browsing. The second phase is the one using the internet for the first time through social media. The third phase is the one receiving chat-application-based-information.